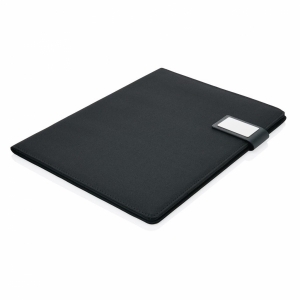 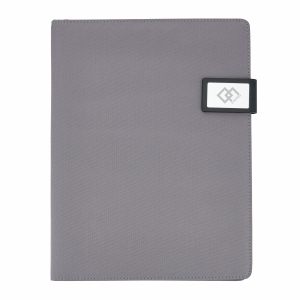 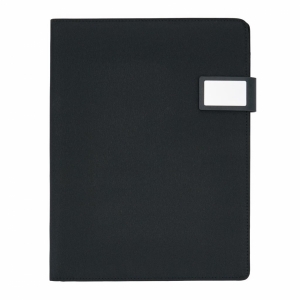 A4 tech portfolio with luxury magnetic metal closure. 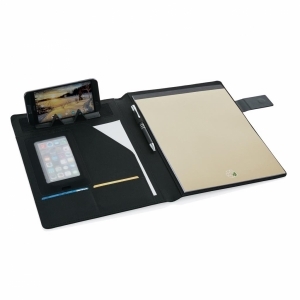 Inside: a tablet/phone stand, phone holder with see-through window which allows you to view and access your device. 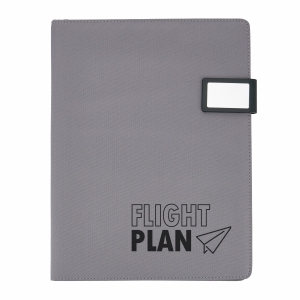 Suitable for most common phones for example iPhone 6 & Samsung S6. 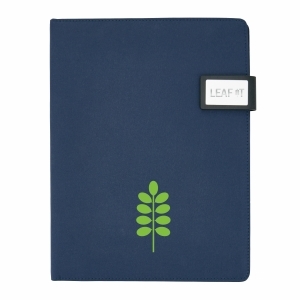 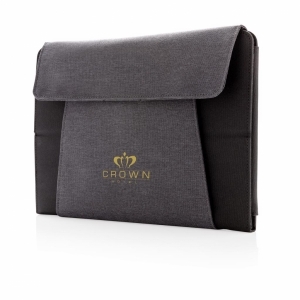 With sleeve for documents, 2 card holders and pen loop. 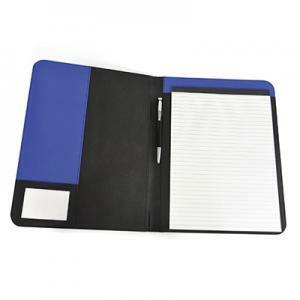 Including recycled A4 notepad. 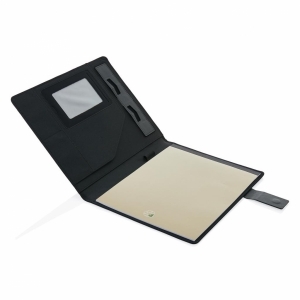 To order an unprinted A4 Tech Portfolio, please complete the details below.